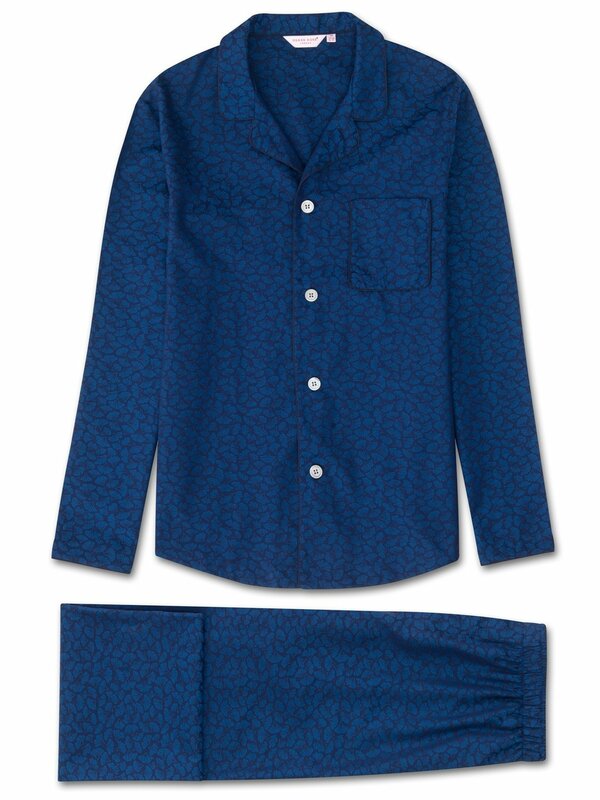 The Paris 14 navy blue modern fit pajama set features an intricate Japanese ginkgo leaf design with a lustrous silky touch. This intricate pattern is woven into the mid-weight fabric using a traditional jacquard technique to produce a layered and textured repeat pattern. 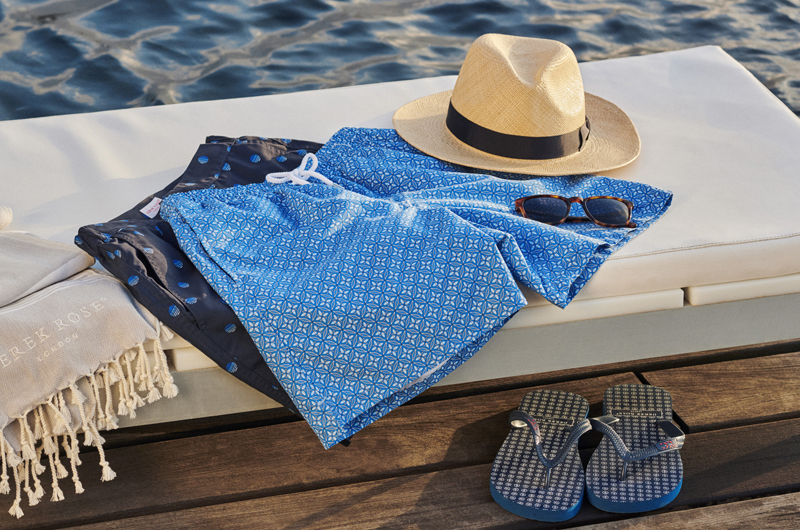 The eye-catching gingko leaf design is hand-drawn and then digitized on a computer before being woven into a satin-touch soft fabric, ensuring it feels as great as it looks. Like all of our modern fit pajamas, the Paris 14 is designed for a slimmer and contemporary cut; one that is closer to the body without being restricting. Made from 100% cotton, woven into a satin touch finish, these pajamas are a mid-weight, designed to keep you warm and comfortable when the temperature drops. The jacket features a sartorially-inspired curved collar, mother of pearl buttons throughout and a piped breast pocket. Furthermore, the rest of the jacket is piped throughout with a complementary navy piping. Matching the top in the detail stakes, the pants feature side pockets, an elasticated waist for comfort and our patented, self-seeking magnetic fly closure. This simple but revolutionary feature allows easy opening and hassle-free closure of the fly.